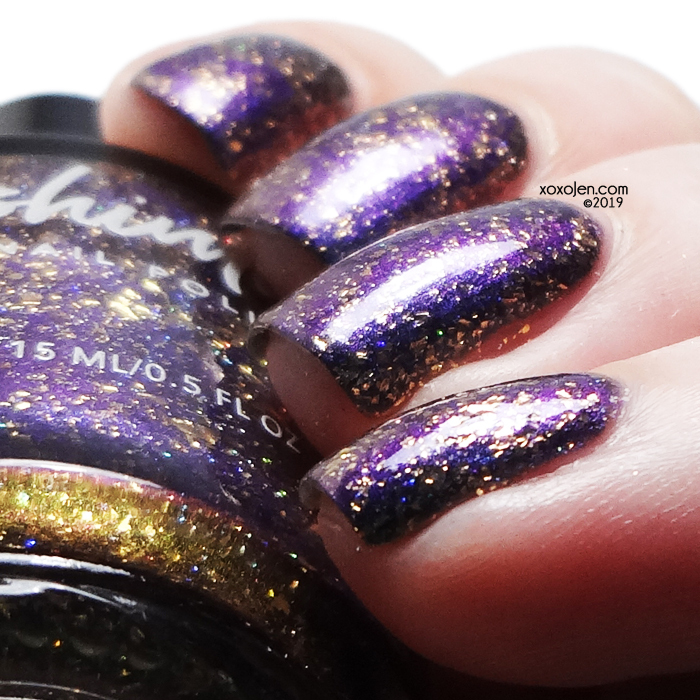 KBShimmer's Beignet Done That is inspired by the classic green, purple and gold colors of Mardi Gras. 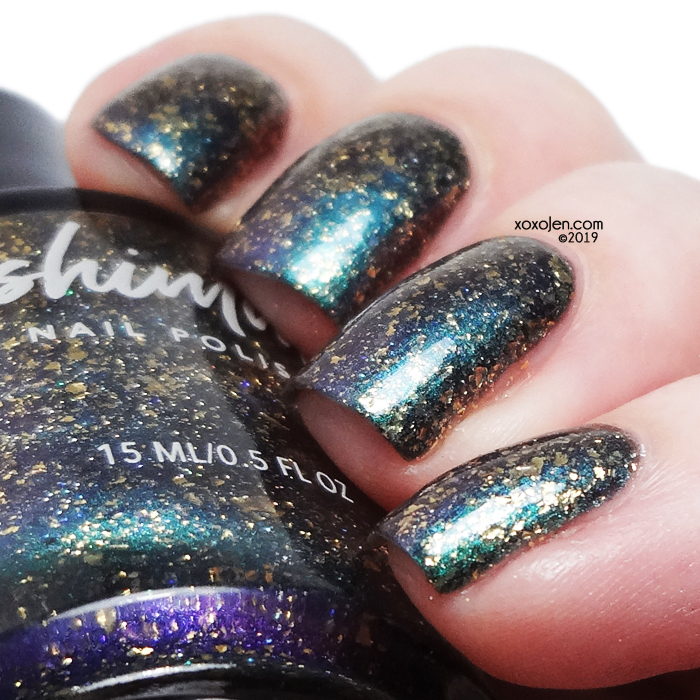 The polish is described in it's listing as a green to purple multichrome with gold flakes and micro holo flakes. 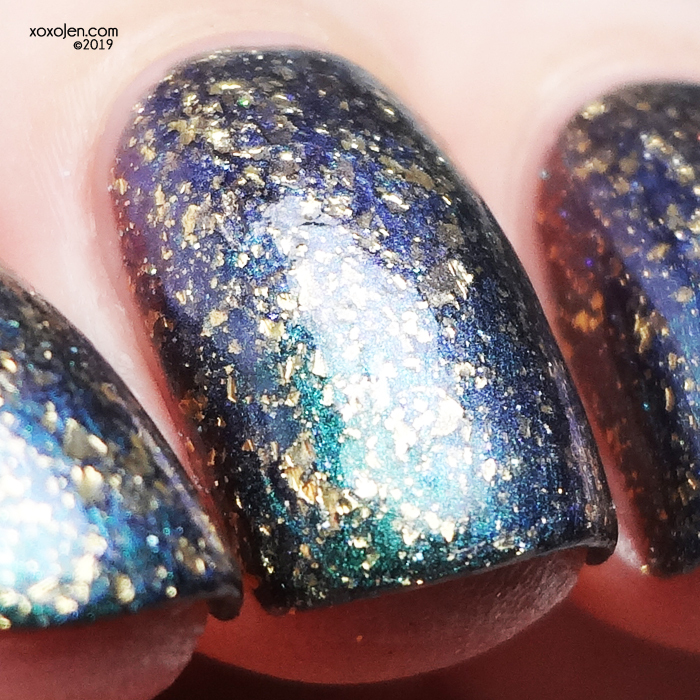 I love how Christy has captured all the colors of Mardi Gras in one polish. It's shifty and glamorous, just like the parades! I wore two coats with topcoat for photos, the formula was good with no issues to report. 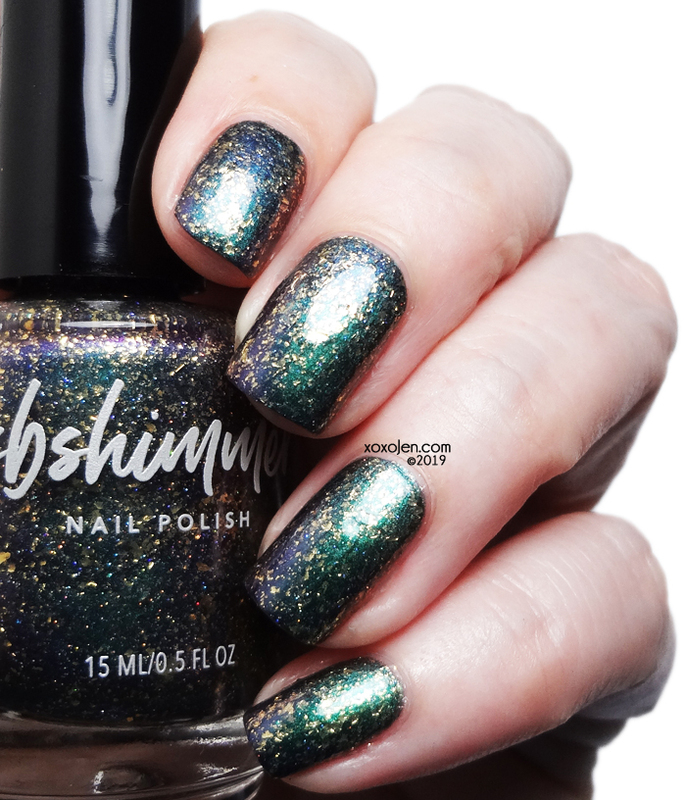 This polish is exclusive to the Road to Polish Con event and has a limited purchasing window of January 18th – Sunday, February 3rd. I couldn't pass this one up after I watched the live swatch video, and your swatches are beautiful! What topcoat did you use? 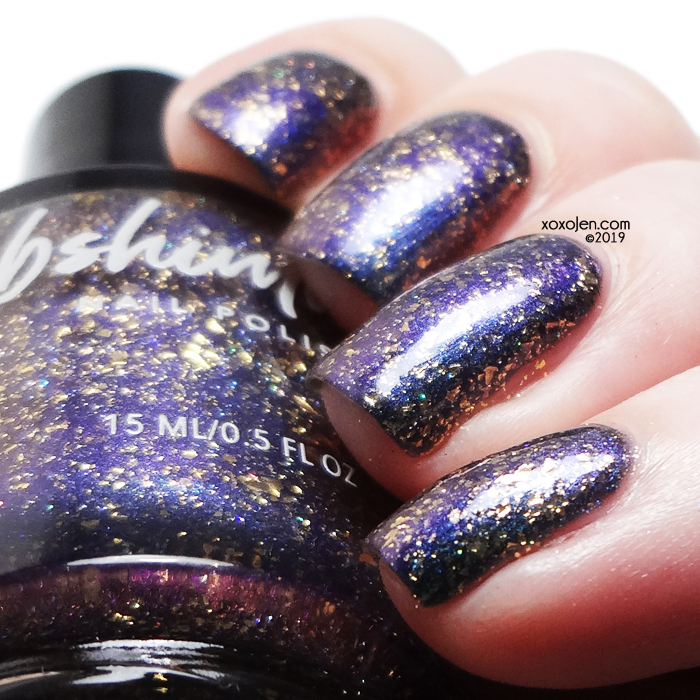 Mine tends to make dents where flakies are, and I don't want to worry about that happening when I get to wear mine! Thank you for the compliment! I use KBShimmer's Clearly On Top with her Fillin Groovy Base. Sometimes two coats of topcoat will help with that, if you don't want to spend for more just yet. I've also sandwiched a coat of Gelous between my polish and topcoat layers, it helps plump it so the topcoat has a smoother finish with glitters. The flakes in this polish are very thin, I didn't notice much texture before topcoating. Hope that helps!